For the people who think natural and organic skincare doesn't work- you might be wrong. I've used Uma Oil's Total Rejuvenation Night Oil for a while now and have mentioned how incredibly luxurious and soothing it is, especially when my skin really needs some TLC. While chatting with Uma... well, Shrankhla but y'know... i mentioned that i'd been having some breakouts and badly behaved skin that i suspected was partly hormonal and partly due to travel and they recommended their Deeply Clarifying Face Oil and said they'd throw in some samples of their Calm & Bliss Wellness Oils also. When i returned from the UK my oils were there waiting for me and i couldn't wait to give them a go! You might not always think of oils as being helpful for breakouts or, well... oily skin but thats just because modern skincare has taught us to strip the crap out of our skin. I've used this oil consistently at night for 2 or 3 weeks now and my skin has greatly improved. Applied over freshly cleansed and toned skin (check my skincare video if you need suggestions), i just press the warmed oil into my face using the palms of my hands. Any leftover i just rub it into the backs of my hands and off i go to bed. I've also combined it with a drop of their Total Rejuvenation Night Oil at times. Not only have breakouts and their stubborn red marks cleared up and faded but i've found my skin just seems much more capable of purging itself of any nasties without creating huge zits as it goes. 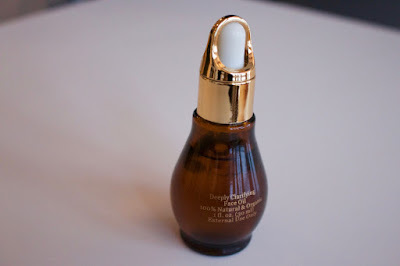 The other way i like to use this is to press a couple of drops into my t zone where i have blocked pores and massage the area for a couple of minutes. I then get into a hot shower but avoid getting my face wet. Once i'm amply steamed, i get out of the shower and use a facial tissue to... yep, do some extractions. Any blocked pores just sort of "give up" whats lurking in them and i don't have to squeeze, just apply pressure with fingers and roll them into one another. So not only do the natural antibacterial ingredients in this help clear up and treat breakouts but it also hydrates your skin, meaning it can regular its sebum production easier. For anyone who has the ultimate dreaded combo of breakout prone and dry skin, this is definitely worth a shot! Truly, i wish that i'd had this growing up instead of trying out every drying awful product for hormonal breakouts. 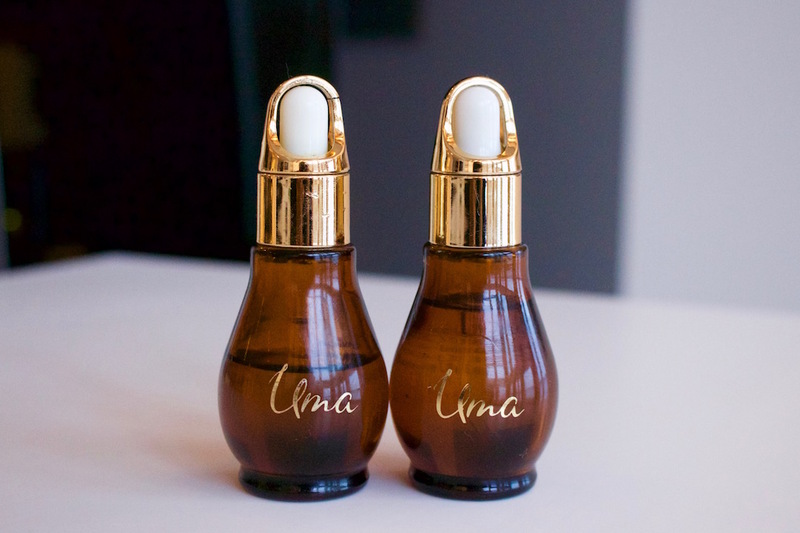 This oil blend just makes you skin much more capable of being. 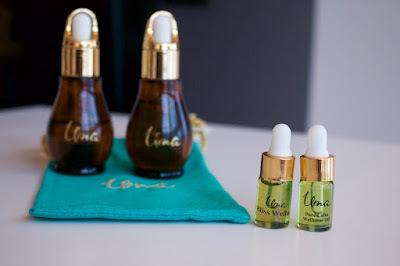 Although i had used their Rejuvenating Night Oil for a while and mentioned that i swore it helped me sleep deeper, it wasn't until i tried their Wellness Oils that my interest in aromatherapy and Ayurveda was peeked. 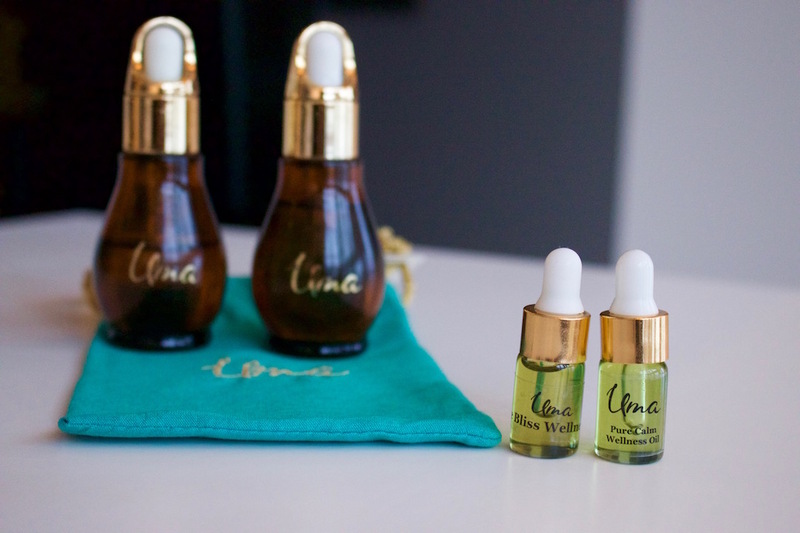 Unlike their facial oils, their wellness oils are more-so designed for use on the body as well as in baths or diffusers. I love applying a drop or two of this into my palms, pressing them together to warm the oil and then inhaling deeply into them, closing my hands in between inhalations. I love doing it this way because i swear you get a different scent and experience with each inhale. Theres definitely an element of smoke about this oil which i've always found to be such a warm, grounding scent (i'm talking nice smokey, not cigarette smoke). With lavender and chamomile, this is about as calming as you can get and i plan on trying this the next time i'm experiencing deep anxiety. Used the same as the Calm Oil, i found this scent to be more fresh and revitalizing with hints of lemon which i always love! I think this is beautiful for a late afternoon stress melter or pick me up and i do plan on mixing a drop of this with the Calm Oil for moments of anxiety or panic. I definitely want to learn more about using oils and aromatherapy so leave any interesting tidbits you might know below!